If you are in the early stages of planning your wedding and you are looking for weddings Northumberland then look no further. 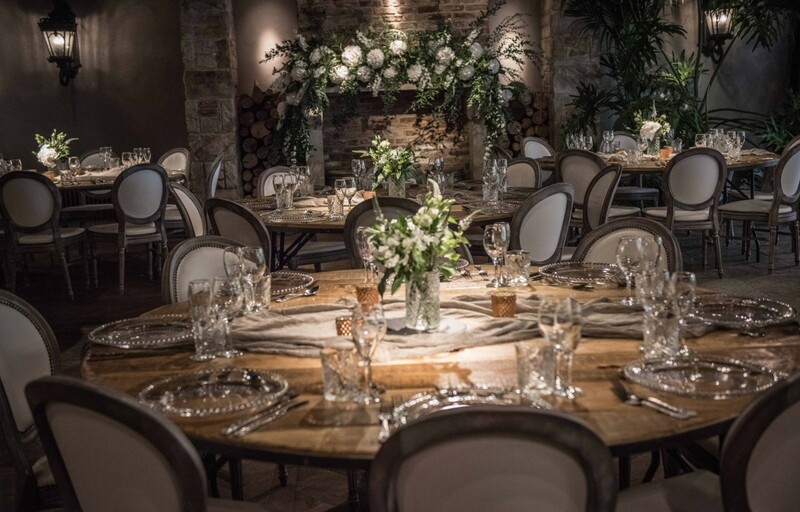 At Le Petit Chateau we are a French inspired chic venue that delivers one of a kind specialist weddings bringing to life your wildest dreams and romanticised ideas for your big day. We have a selection of spaces available which all offer a different vibe and set-up where we can host your ceremony and cater it around your needs with our special offers, ideas and super helpful wedding guide to ensure that every detail is taken care of to the best quality, in addition to hosting open days where we invite you to personally come and check out our spaces for careful consideration. Our Belle Epoque is our inspired French Chapel which is a more traditional setting combining both romance and fantasy with a rich French architecture drawing inspiration from 19th century french ‘Golden Age’. 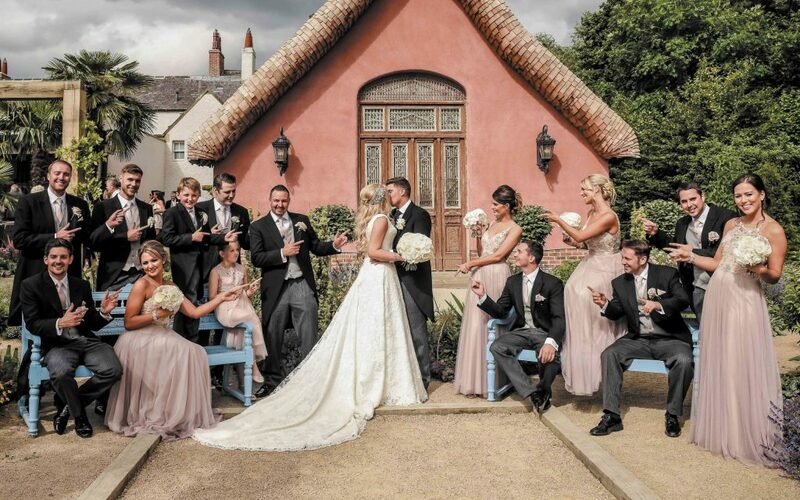 Interiors include an eye catching crystal chandelier, giant marble fireplace and a complimentary shingle thatched roof, making it an idyllic and enchanting setting keeping your guests mesmerised by its beauty throughout the duration your ceremony. The Main Terrace is a contemporary and quirky inside/outside space with a retractable roof perfect for celebrating wedding ceremonies, wedding breakfasts and evening receptions in the great outdoors, no matter what weather you may get on your big day. With roaring outdoor firepits, water fountains and a pretty pink building with a shingle thatched roof as your backdrop for photographs, it really does provide you with the perfect tropical paradise transporting you to Provence giving you all the French feels. Our Chateau Ballroom has floor to ceiling windows that open onto the secret Mediterranean gardens where you have the view of our dreamy 16ft palm trees and fire on water feature providing the perfect backdrop for your beautiful wedding day video and photographs. We understand that you want to keep your party flowing as seamlessly as possible therefore our Chateau Ballroom has been designed with the bar and dance floor together with plenty of comfortable seating so that your party can last all night with ease. If we have tickled your fancy with a sneak peak at our wedding spaces at Le Petit Chateau then please do not hesitate to join us at our next open day on Sunday 9th June or give us a call today on 01830570400 to get the ball rolling. And all that’s left to say is bonne planification! (happy planning! ).